Out of this world beautiful Comforters featuring all your favorite galaxies, nebula's, stars, and then some. 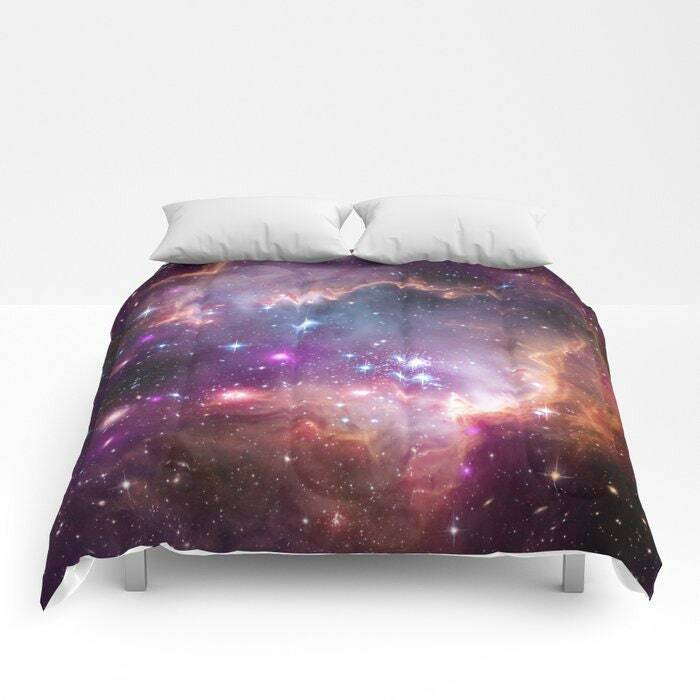 Expansive expanses for some seriously spaced out bed comforters. Earth Moon Stars Studio's bed comforters are cozy, simply stunning and lightweight pieces of heaven. Our designs are printed onto 100% microfiber polyester fabric for brilliant images and a soft, premium touch. Lined with fluffy polyfill and available in King, Queen, Full, Twin XL and Twin sizes. TwinXL - 68" x 92"
This Bed Comforter is made-to-order, meaning it is specially made for you and is not kept in stock.